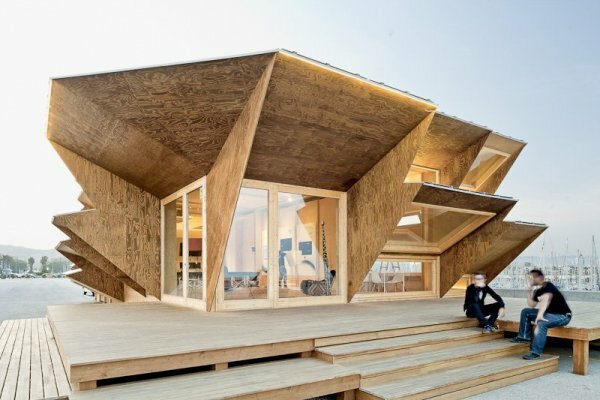 Architects and designers are really pulling out all stops when it comes to creating cool new structures that are not only user-friendly, but also planet-friendly. 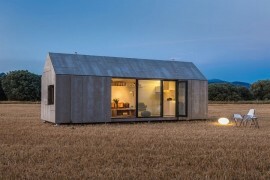 While some employ traditional design methods which have been tried and tested for ages, others are employing ingenuity and out-of-the-box thinking. 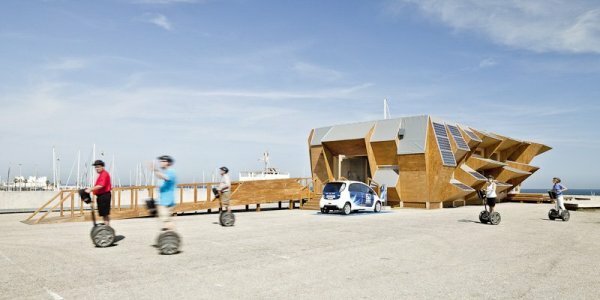 And the Endesa Pavilion showcased at the Smart City Expo in Barcelona is all about going off the beaten path. 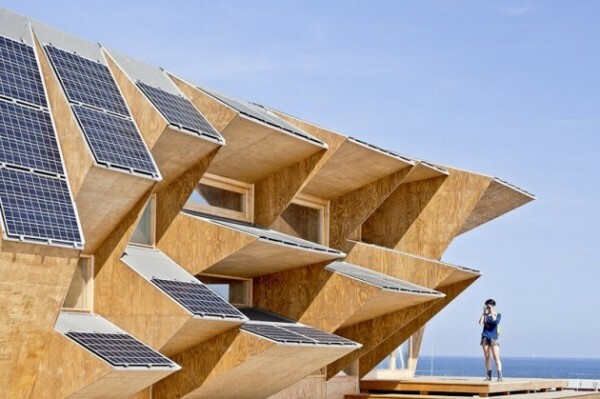 Designed ever so audaciously by Institute of Advanced Architecture of Catalonia, its eye-catching design conceals the amazing green features that it holds within. 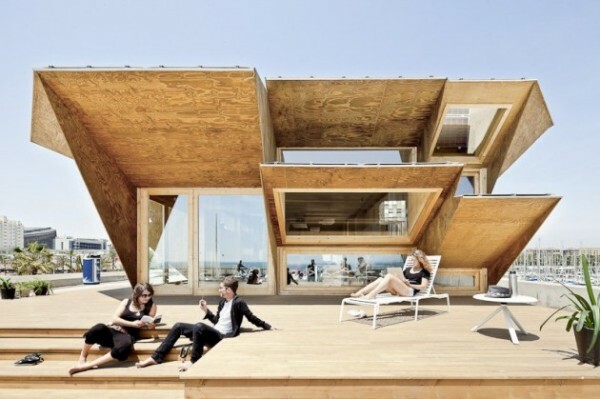 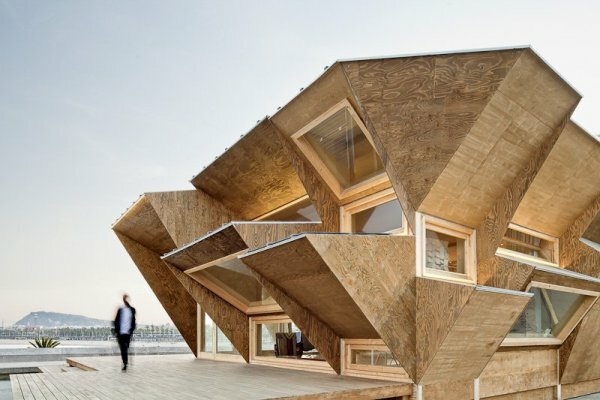 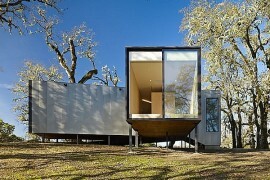 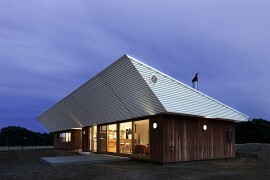 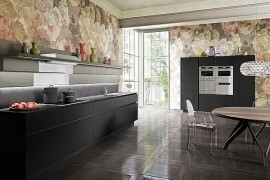 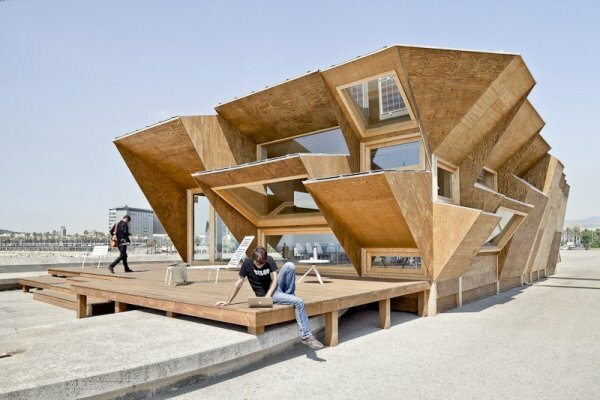 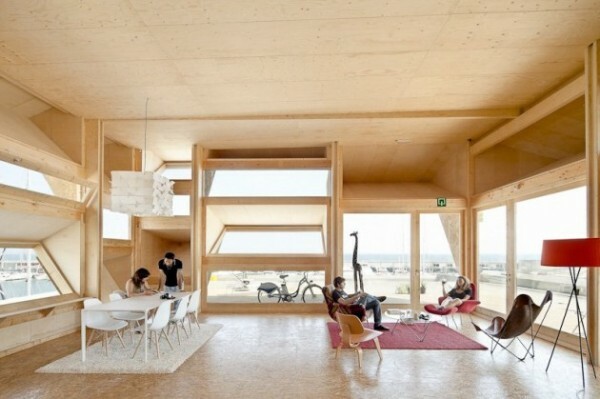 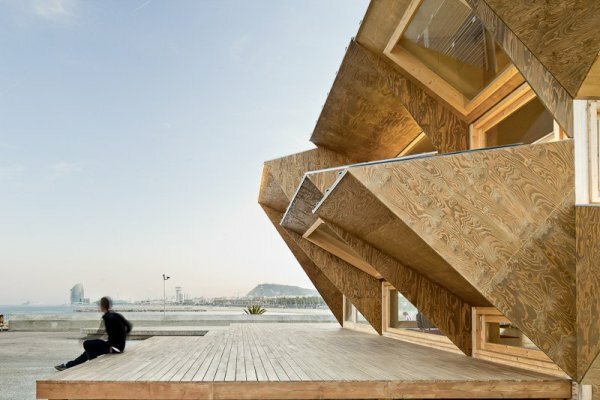 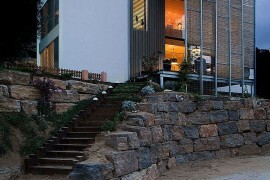 The home is made up of a series of triangular modules which are made completely out of natural wood. 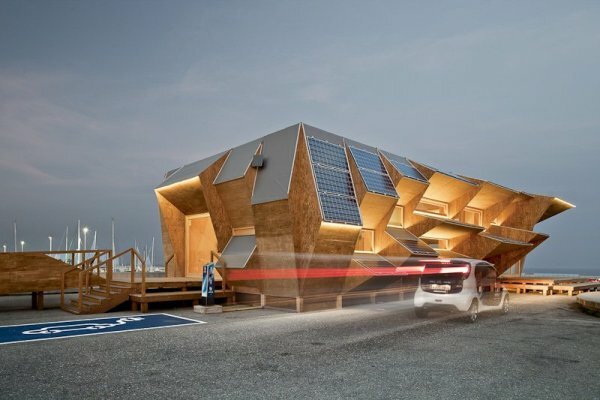 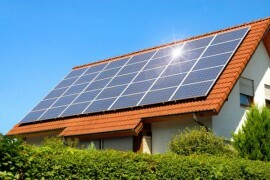 Each of the modules sports photovoltaic panels that are aligned to tap into as much solar energy as possible at all times. 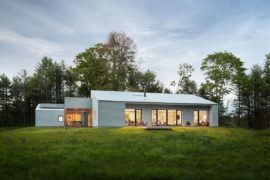 The modular design allows home users to attach or remove units as per their space requirement and even design various interiors, with one flowing into another.